Can't find what you are looking for? 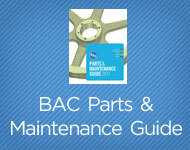 Contact your local BAC sales representative today. Welcome to Cooling Tower World! Cooling Tower World is the only place to purchase BAC Factory Authorized Parts online. BAC's parts are manufactured to meet rigorous cooling tower duty specifications and are guaranteed to fit your unit and perform as original equipment. 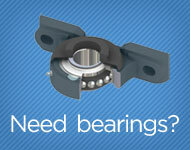 Some BAC Factory Authorized Parts are also suitable for use in other manufacturer’s products. All Cooling Tower World parts carry a full 1-year warranty backed by BAC. If you can't find the parts you are looking for in Cooling Tower World, please be sure to contact your local BAC sales representative for personal assistance, additional parts, and shipping options.